This month we're asking our autistic community members What Do You Want? What Do You Need? We'll be featuring their answers all April long, right here. 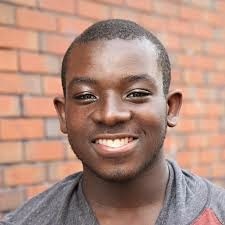 Today we're having a conversation with autistic advocate Femi Ajala. Please read, listen, and share. I love music a whole lot, and my dream is to become a successful music producer. I tend to stress and get anxious about certain upcoming events. I also unfortunately and easily get distracted, which takes it a while for me to get on task. I overthink a lot, which leads me to not paying attention to what's currently going on in my environment as opposed to what's going on in the tornado that revolves with thoughts, fears, and "what-if's" in my mind. I try to combat my stress and anxiety by doing weight training and cardio. This usually helps me cool down my stress meter. There are a variety of things make me happy. Having good conversations make me happy, because I'm challenging and pushing myself to be social with other people, as opposed to just being alone in my room (which I currently am on weekends mainly). Having a good laugh with others and me, or hearing others laugh makes me happy, it just gives me a good feeling. Playing video games definitely makes me happy, because it allows me to get out of touch with reality and experience unreal things, that I've always dreamed of doing in the real world, and it's of course, fun. Going to places with people makes me happy, because with me, I am extremely eager to meet, talk to, and befriend different people. It really upsets me when I'm frequently alone. As a kid, I had to go through it, and in stepping to a new environment (COLLEGE IS THE PERFECT EXAMPLE), I don't want to be in that same negative space again. I really want to engage in the social world. I see myself living in a forest area, not necessarily by myself though, but still with friends. I love being surrounded by trees, the nature pretty much. I live in a house where there is a video game room, a toy room full of my collections of transformers toys, and DragonballZ toys. I also have a bathroom, bedroom, kitchen, living room, backyard, and a studio, where I can record my music, and make music. I like books based on love/romance adventures with teen couples, adult couples, and fictional novels. My favorite TV shows are WWE, DragonballZ, Transformers, Spongebob, Family Matters, Family Guy, The Fresh Prince of Bel-Air, etc. I would like for the media to show a mirror image of what actually goes on in the real world and actually inspire us to do something right. Now I understand of how shallow and stereotypical the media is, especially with different cultures in our world, and the "equality" between males and females. I'm also tired of the media making it seems as though people with "disabilities" and/or "special needs" are severely looked down upon, and inferior to the "Normal Race." For some odd reason, the media primarily focuses on CHILDREN who are on the Autism Spectrum, as opposed to focusing on Teenagers and Adults who are on it as well. I would always wonder ... shouldn't there always be articles and self-help books for teens and adults who ARE on the spectrum and the experiences as an adult or teenager learning to accept Autism and expressing that to others?? Teach them the skills they need? It's like, the media is training children who have been just diagnosed how to follow the "normal" trend. Teaching them to get inside THAT box, if you know what I mean. It's as if the media is trying to "cure Autism," like it's a "CURSE." Judgment is the keyword; People who aren't on the spectrum should not have to judge people who are, based on what they've seen on TV. They shouldn't follow "The Rulebook of Normality."